The official answer is NO, but wait a minute. Almost anything is possible with VMware API. 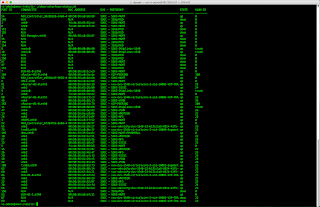 So my solution is leveraging VMware's vSphere Perl SDK to pull information out of Distributed Virtual Switches. I have prepared PERL script vdscli.pl which currently supports two commands mentioned above. It goes through all VMware Distributed Switches on single vCenter. See screenshots below to get an idea what script does. looks as depicted in screenshot below. 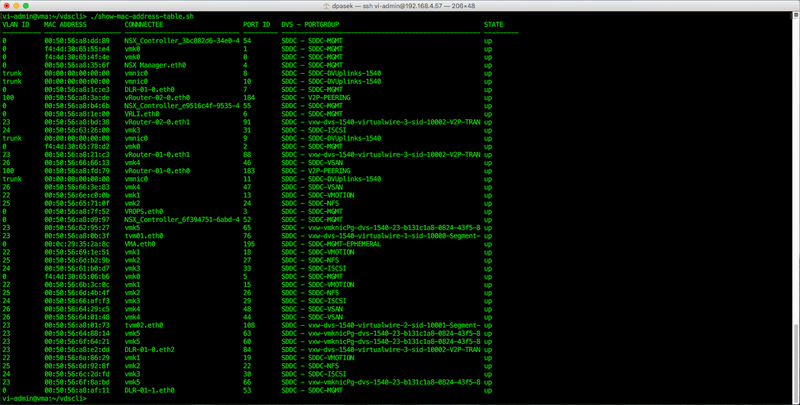 And the last step is to allow SSH or Telnet access to VDSCLI shell. It can be very easily done via standard Linux possibility to change a shell for the particular user. 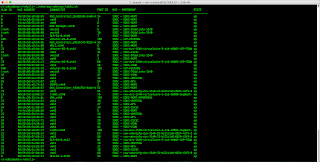 The VDSCLI over ssh is depicted on the screenshot below. "CLI for VMware Virtual Distributed Switch - implementation procedure". Hope somebody else in VMware community will find it useful. This is a very quick blog post. In vSphere 6.0, VMware has introduced Storage DRS integration with storage profiles (aka SPBM - Storage Policy Based Management). Here is the link to official documentation. Generally, it is about SDRS advanced option EnforceStorageProfiles. Advanced option EnforceStorageProfiles takes one of these integer values, 0,1 or 2 where the default value is 0. When option is set to 0, it indicates that there is NO storage profile or policy enforcement on the SDRS cluster. When option is set to 1, it indicates that there is storage profile or policy SOFT enforcement on the SDRS cluster. It is analogous with DRS soft rules. SDRS will comply with storage profile/policy in the optimum level. However if required, SDRS will violate the storage profile compliant. When option is set to 2, it indicates that there is storage profile or policy HARD enforcement on the SDRS cluster. It is analogous with DRS hard rules. In any case, SDRS will not violate the storage profile or policy compliant. Please note that at the time of writing this post, SDRS Storage Profiles Enforcement works only during initial placement and NOT for already provisioned VMs during load balancing. Therefore, when iVM Storage Policy is changed for particular VM, SDRS will not make it automatically compliant nor throw any recommendation. Vikas Shitole : One of cool vSphere features: Tutorial:How Storage DRS works with storage policies in SPBM? Photon OS is linux distribution maintained by VMware with multiple benefits for virtualized form factor, therefore any virtual appliance should be based on Photon OS. I have recently tried to play with Photon OS and here are some my notes. To use static IP settings it is good to move DHCP config file down in alphabetical order and create config file with static IP settings. Photon OS uses TDNF (Tiny DNF) package manager. It is based on Fedora's DNF. This is a development by VMware that comes with compatible repository and package management capabilities. Note that not every dnf command is available but the basic ones are there. Now you can run powercli container interactively (-i) and in allocated pseudo-TTY (-t). Option -rm stands for "Automatically remove the container when it exits". 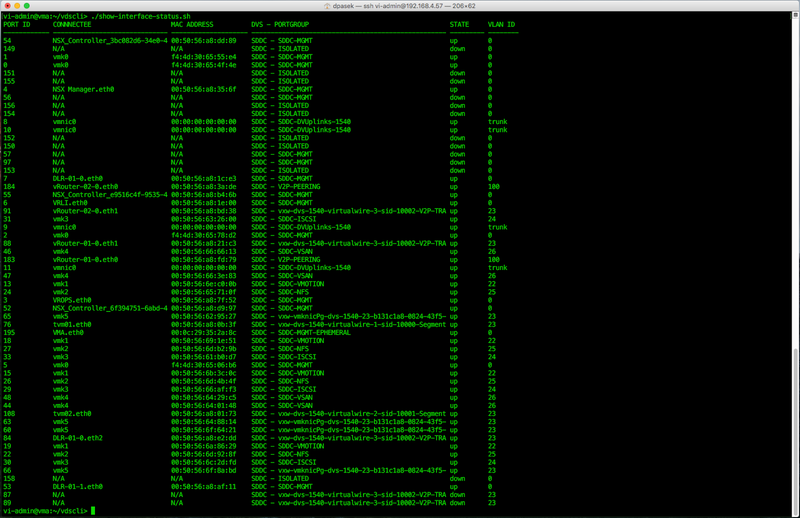 Welcome to VMware vSphere PowerCLI! Copyright (C) VMware, Inc. All rights reserved. Loading personal and system profiles took 3083ms. a permanent exception for this server. Connect-VIServer : 06/07/2017 19:25:44     Connect-VIServer          An error occurred while sending the request. The command above changes PowerCLI configuration for all users. ... or issue any other docker command. We all know that the devil is always in details. The same is true with VVOLs. VMware prepared the conceptual framework but implementation always depends on storage vendors thus it varies around storage products. Recently, I have had VVOLs discussion with one of my customers and he was claiming that their particular storage vendor supports a very small number of VVOLs. That discussion inspired me to do some research. Please, note that numbers below are valid at the moment of writing this article. You should always check current status with your particular storage vendor. Numbers above are very important because single VM have minimally 3 VVOLs (home, data, swap) and usually even more (snapshot) or more data disks. If you will assume 10 VVOls for single VM you will end up with just 200 VMs on Dell Compellent or Hitachi VSP G200. On the other hand, EMC Unity 600 would give you up to 3,000 VMs which is not bad and enterprise storage systems (EMC VMAX and Hitachi G1000) would give you up to 6,400 VMs which is IMHO very good scalability. So as always, it really depends on what storage system do you have or planning to buy. If you know numbers for other storage systems, please share it in comments below this blog post.